"Here we go… Now we're cookin'!" A24 has launched the first official red band trailer for Ben Wheatley's new movie Free Fire, which just premiered at midnight at the Toronto Film Festival last night. It's about an arms deal gone wrong, which turns into an all-out gunfight in a warehouse. This ensemble action movie stars Sharlto Copley, Armie Hammer, Brie Larson, Cillian Murphy, Noah Taylor, Sam Riley, Michael Smiley and Jack Reynor. From the screening last night, critics have described it as "insane" and a "real-time pistol opera" that is so much fun, saying it's a entire film about that scene where the characters get pinned down in a gun fight. This looks awesome! Looking forward to seeing this myself. Fire it up below. Set in Boston in 1978, a meeting in a deserted warehouse between two gangs turns into a shootout and a game of survival. About a weapons deal gone wrong that escalates into a manic, bullet-riddled standoff inside an abandoned warehouse. 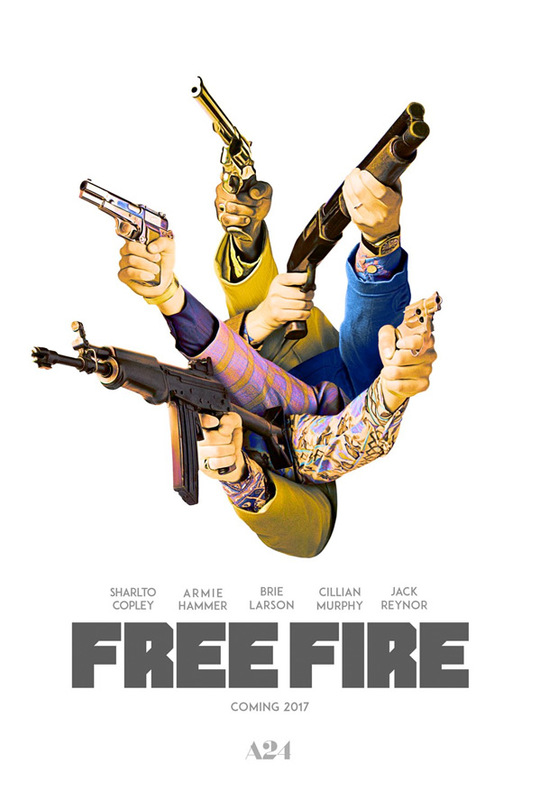 Free Fire is both written and directed by acclaimed British filmmaker Ben Wheatley, of the films Down Terrace, Kill List, Sightseers, A Field in England and High-Rise previously. The screenplay was written by Wheatley and Amy Jump. This just premiered in the Midnight Madness section of the Toronto Film Festival, and played the London Film Festival next. 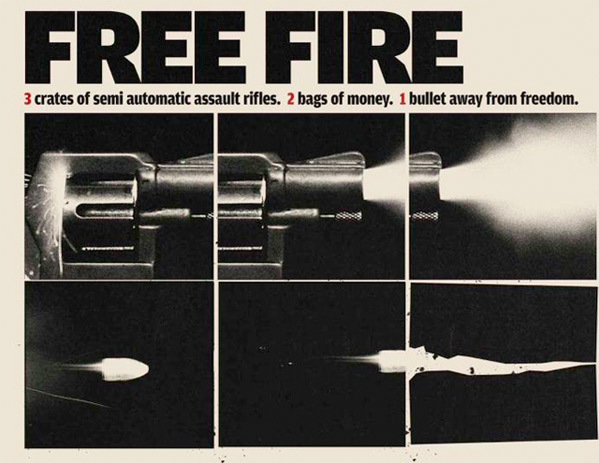 A24 will release Wheatley's Free Fire in theaters sometime in early 2017, though an exact date is not set yet. Excited yet? Damn, Wheatley is prolific....what is he, Woody Allen? Did HIGH RISE even get a US release? // I am down to see this! Those posters are gold too. YES! This looks fun and stylish! Kudos on the awesome 70's inspired poster! Wheatley has a tendency to take simple situations and make them wonderful. Although High Rise was his first that I didn't enjoy, I get the feeling this one will be a return to form.